Mouthwatering Harry Potter Food for Hogwarts Feast! It is time for Hogwarts Feast! 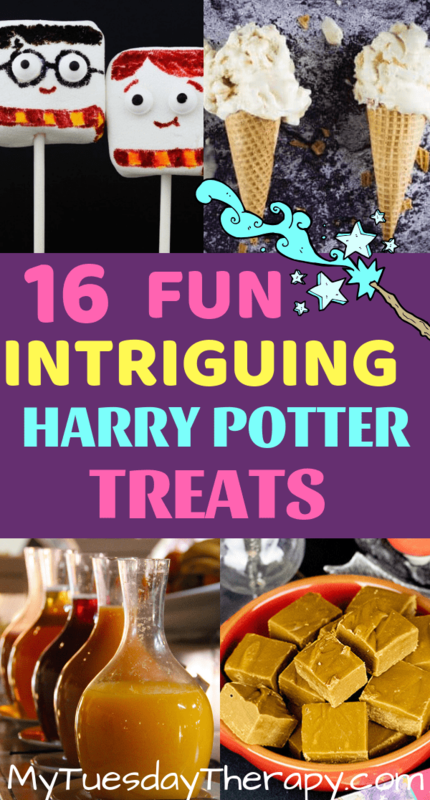 Delicious Harry Potter party food from Butterbeer Ice Cream to Edible Wands. 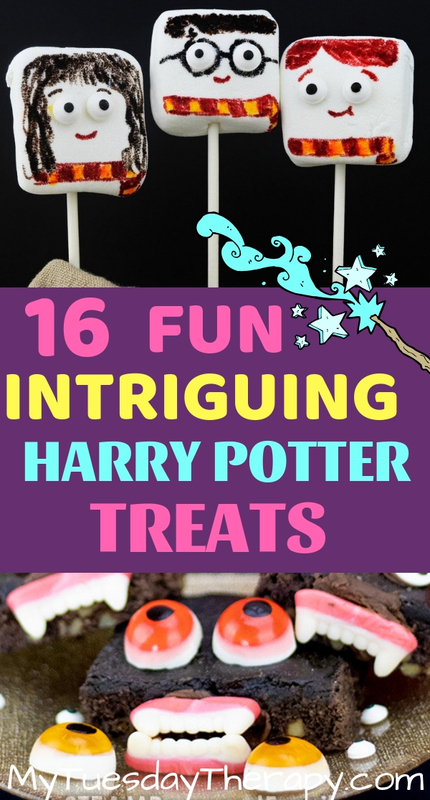 These delightful treats will bring a little magic to your party or Harry Potter movie marathon. Impress your guests with enticing creations, some of which take only a couple of minutes to prepare. When I saw the word Frozen all I could think about was Elsa and Anna. As lovely as that movie is this Frozen Butterbeer by Jenn from Princess Pinky Girl is for your fabulous Harry Potter party. If you’re not in the mood for Frozen Butterbeer made with ice cream and other delicious ingredients you might enjoy this Hot Butterbeer. With a pinch of Cayanne this Butterbeer is sure to warm you up. Check out the recipe at Princess Pinky Girl. Refreshing Pumpkin Butterbeer from In the Kids Kitchen looks like something you could sip on your porch swing. I get thirsty just looking at that picture. 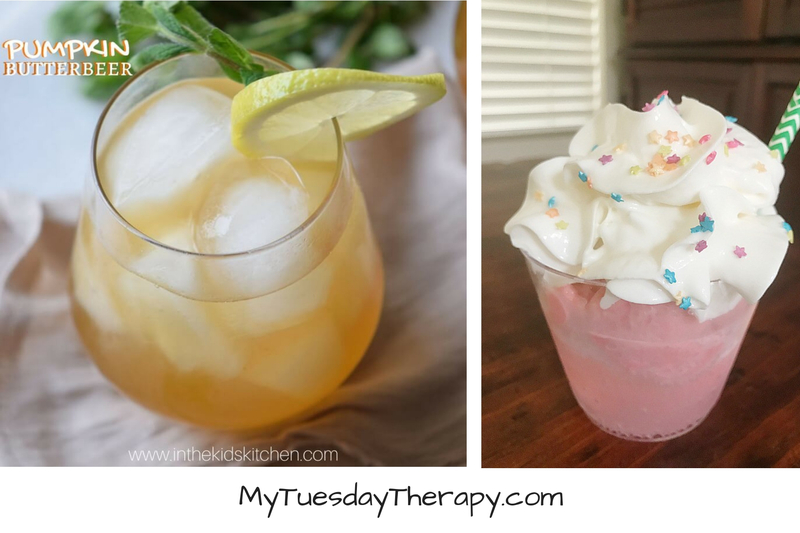 You’ll find the easy recipe for this delightful drink here. 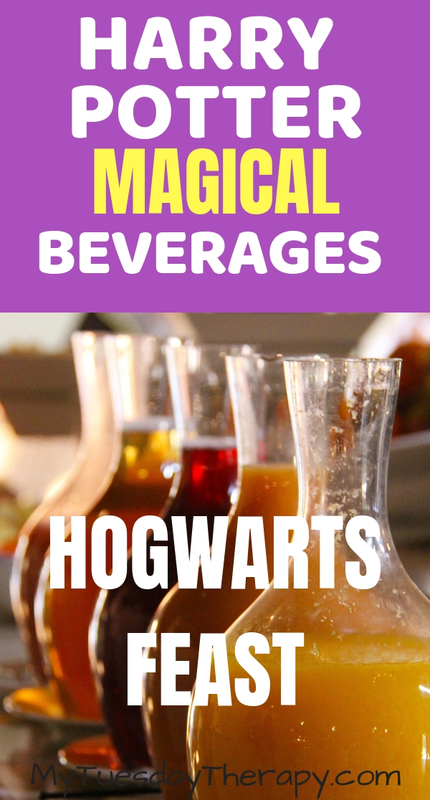 Polyjuice Potion is one of the easiest Harry Potter themed beverages. You’ll only need two ingredients and a couple of toppings! This mouthwatering goodness is from Buggy and Buddy. Butterbeer is not the only drink you can serve. Here are a couple of other ideas. This delicious Pumpkin Spice Hot Cocoa from Lara Morettiere (Everyday Graces) is a fun beverage to enjoy during a Harry Potter movie marathon. Based on the video it is so easy even kids can make it! Any juice will look magical when served from cool glass carafes. Fill up glass bottles with orange, grape, and apple juice. Attach fun labels to give them enchanting names. Can’t get any easier than this. 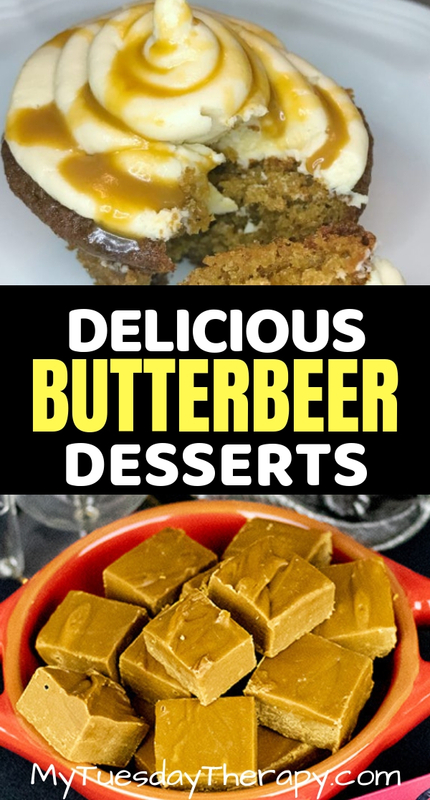 Butterbeer is not only a great flavor for your drinks but makes pretty awesome desserts too. Take a look at all these tempting treats for Hogwarts Feast. Delectable gluten free Butterbeer Cupcakes are sure to please the Harry Potter fans. These cupcakes are also dairy free except for the butter in the frosting. Sweet, yummy treat by Lara (Everyday Graces). Surprise your guests with enticing Butterbeer Fudge. Steam Powered Family has a great recipe for this delicious treat. Hosting parties can be quite hectic. Desserts like Butterbeer Panna Cotta can make it little easier. This Harry Potter dessert is easy to make and can be prepared a few days ahead. Yay! I love easy recipes! Only five ingredients and little bit of time is required. This awesome recipe and video is brought to you by Nerdy Mamma. 10ome of us like to balance the sweetness with a salty treat. Little bit or a lot of bit sugary yummies and then a handful of salty goodies. What makes this popcorn Harry Potter Popcorn? The awesome popcorn box of course! It is all about the container. That must be the easiest way to make desserts and savory treats for any theme. This is not a butterbeer recipe but could easily be turned into one with homemade butterscotch. You’ll find a printable for popcorn box in two sizes at Ruffles and Rainboots. Homemade Butterbeer Ice Cream! With this simple 5 ingredient recipe from Princess Pinky Girl you can quickly whip up your own butterbeer ice cream. You won’t even need an ice cream maker. And if you are like me and like super simple recipes here is the easiest butterbeer ice cream: vanilla ice cream with butterschotch sauce. Just call it butterbeer ice cream and you are all set! A simple and fun way to divide your guests into Hogwarts houses is by serving these delicious cupcakes filled with red, yellow, blue or green m&m’s. This cool idea is from Thimble and Twig. I like how you can just make any kind of cupcakes, fill them up, and top with frosting. To continue with the easy Harry Potter cupcakes I’ll present you the cupcake toppers from Mom vs The Boys. Print out the fun toppers and stick them into your favorite cupcakes. Actually, you can stick them into donuts or muffins too if cupcakes aren’t your thing. You do that and you have created another awesome treat: Harry Potter donuts. These owl cupcakes are cute! You’ll have fun making these and eating these. I’m sure you recognize that trio. Harry, Hermione, and Ron. The awesome group of three friends. Sarah from Ruffles and Rainboots will show you how to make marshmallows look like the beloved characters from Harry Potter. These scary looking Monster Brownies are from Steam Powered Family. Use their recipe or make your favorite brownies and turn them into monsters with creative decorating skills. Is it a craft or is it a treat? These cool wands are edible. 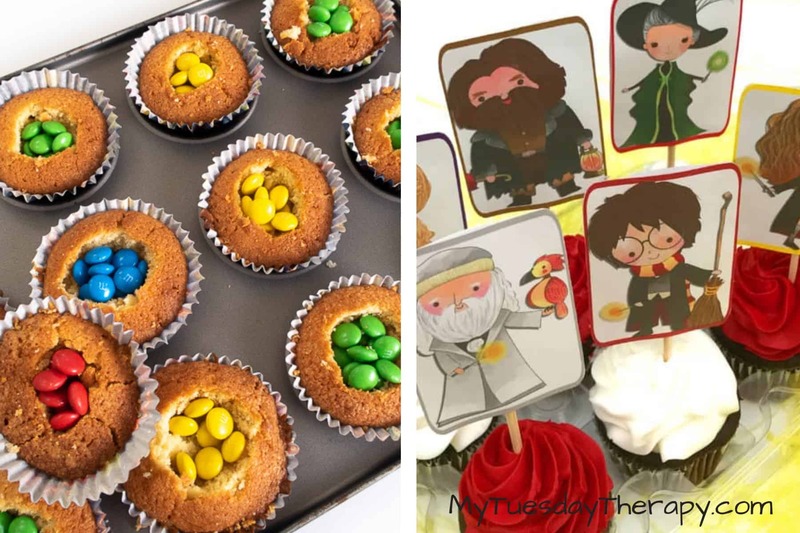 Organized 31 has several creative Harry Potter treats that work also well as a Harry Potter party favor. Chocolate frogs and Harry Potter parties go hand in hand. 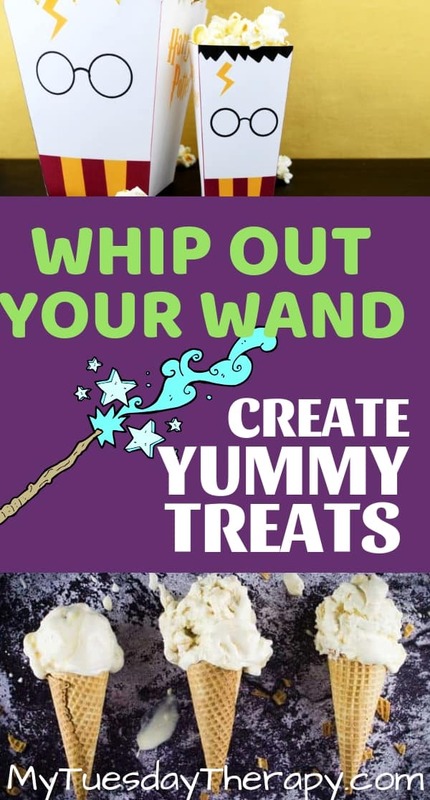 This is another easy Harry Potter dessert anyone can make. Check out the cool idea at Nerdy Mamma. 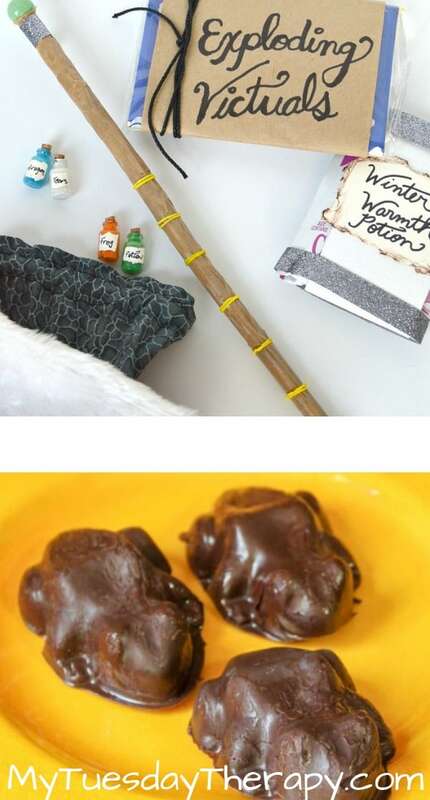 In HARRY POTTER PARTY IDEAS ON SMALL BUDGET you’ll find a super easy recipe for Explosive Bonbons. They are not only easy to make but also taste good. I like to make them at Christmas time too just not with “explosives”. You don’t need to have a party to enjoy these magical Harry Potter Foods. 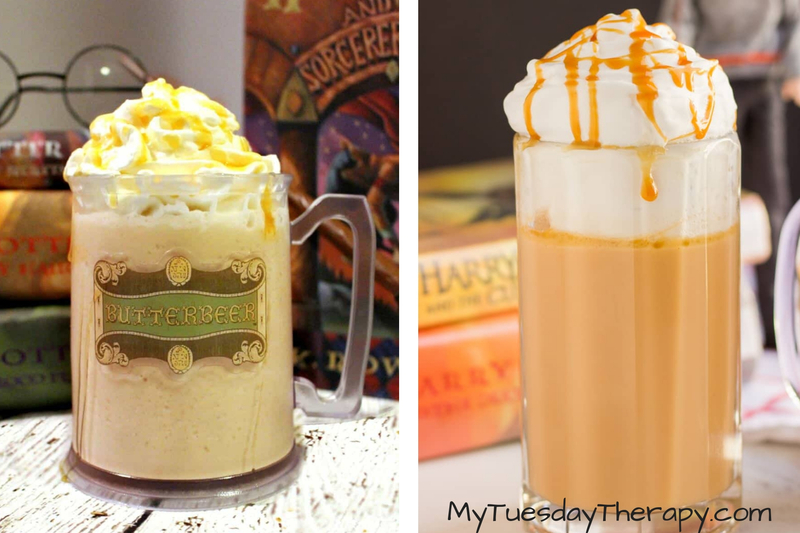 Whip up a batch of butterbeer to be enjoyed with dinner. Or make delicious butterbeer cupcakes for your afternoon tea time.